You will find our Junior Suite on the fifth floor of the Keizershof Hotel away from all the hotel crowds. 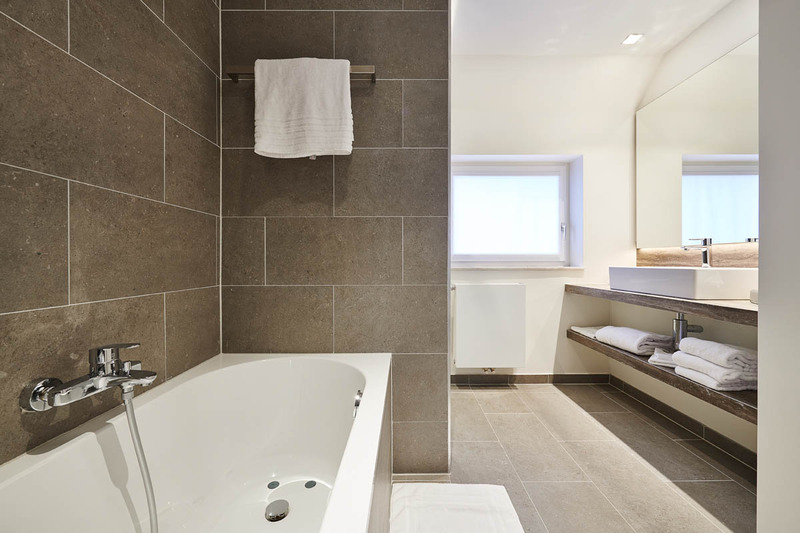 This spacious suite with terrace offers a lot of space and in the bathroom you can enjoy a luxurious bath with air jets and LED lighting. 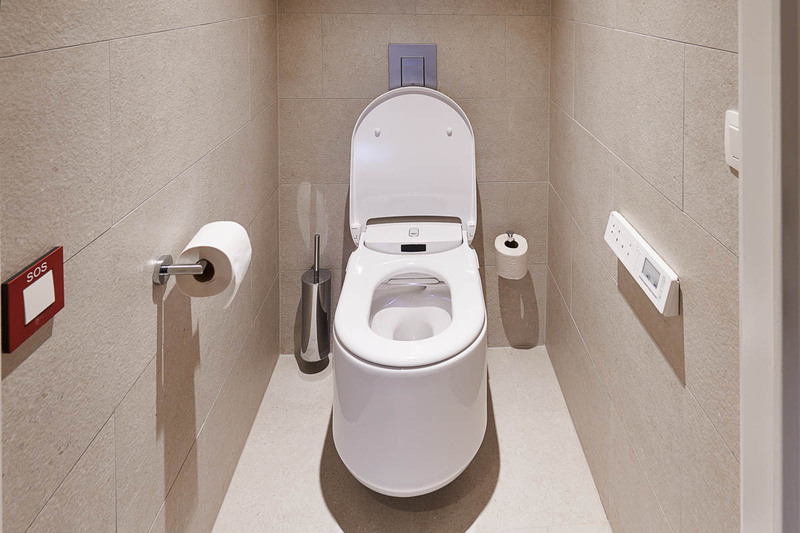 The Aquaclean toilet by Villeroy & Boch is a nice extra of this Junior Suite. Located in the city center, at walking distance from the station and the Grote Markt, the Keizershof Hotel is number 1 in Aalst in terms of style, quality, atmosphere and service. Our multilingual staff is always ready to make your stay as you wish. 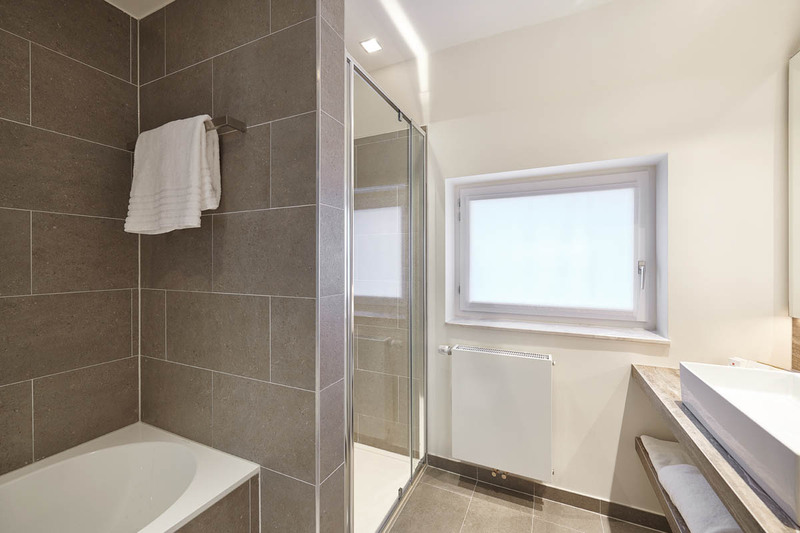 Our modern, stylish Deluxe rooms have a walk-in shower, cosmetic mirror, USB charger for your smartphone, air conditioning, safe, telephone, AM/FM alarm clock and all kinds of other amenities. Thanks to a television with movies and HDMI port, minibar, coffee maker, kettle and room service, your stay will be even more pleasant. Each room also contains a desk/work area. In our bar with salon you can relax or read the newspaper when you want to. Delicious breakfast is done thanks to the extensive hot and cold breakfast buffet with daily fresh dishes from 7 to 1 a.m. Throughout the hotel you can take advantage of high-speed Wi-Fi. If you want to hold meetings in Aalst, you are also at the right place in our hotel. Aalst Meeting Center is our business center with several meeting rooms and all necessary audio-visual materials to your meeting, seminar or event. Relax in our fitness center or sauna – the choice is yours! 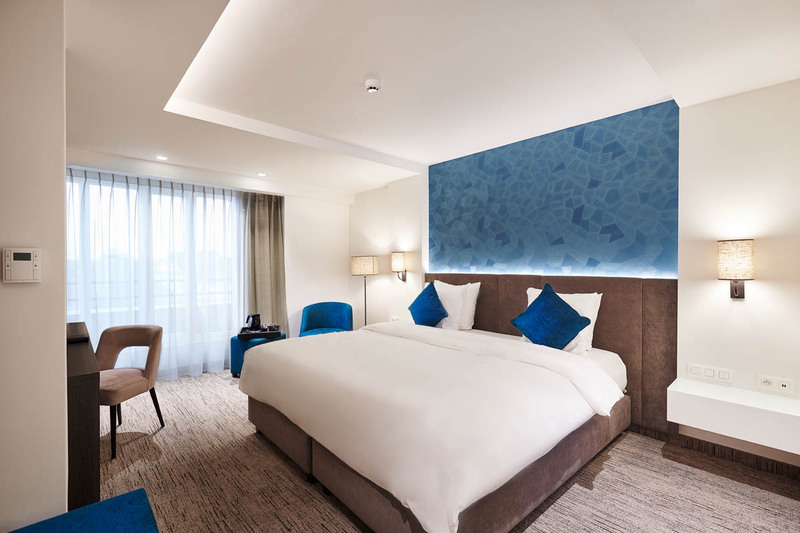 On top of that, you can enjoy additional services and accommodation: wake-up service, ironing amenities, baby cot, bathrobes, dry cleaners, photocopies, shaving set, shower cap, oral hygiene set, sewing kit, comb, slippers and more. View more photos of our facilities. The Keizershof Hotel is located in the heart of Aalst, central between Ghent and Brussels, close to several attractions, cafes and restaurants and the cultural center. The city is easily accessible via the E40. You can also easily reach the hotel by using public transportation: it is just a 10-minute walk from the station. Are you coming by car? Then you can use our guarded private parking lot with room for 65 cars. There is a charing pole for electric or hybrid cars. Within walking distance of the hotel there is also a guarded public parking garage (Interparking Hopmarkt, 317 spots) and parking Keizershallen (750 spots). The four strong gastronomic pillars Banqueting, Restaurant, Hotel and Top Service is what we wear high priority. With style and professionalism our teams guarantee a perfect service. Our central location makes it accessible for travelers who wish to travel locally or nationally or want a short overnight stay. All Best Western®-hotels are in private ownership and are independently operated.